Metropolitan Chess, Inc. hosted an International Master norm round robin tournament from April 11th to April 15th, 2012. This tournament was the 18th in its series and was held in Suite C1002 of the California Market Center on 110 East 9th Street, Los Angeles 90079. The tournament was organized by Ankit Gupta, FA, IO and the chief arbiter was Randy Hough, IA. The participants included: IM Zhanibek Amanov (KAZ), IM Larry Remlinger (USA), IM Roman Yankovsky (RUS), FM Harutyun Akopyan (USA), FM Kameswaran Visweswaran (IND), FM Mark Duckworth (USA), NM Yian Liou (USA), NM Brendan Purcell (USA), FM Konstantin Kavutskiy (USA) and NM Garush Manukyan (ARM). The tournament was a 10 player round-robin (all play all), with rounds scheduled as follows – 11th: 7:00 PM, 12th: 11:00 AM & 5:00 PM, 13th: 11:00 AM & 5:00 PM, 14th: 11:00 AM & 5:00 PM, 15th: 10:00 AM & 4:00 PM. 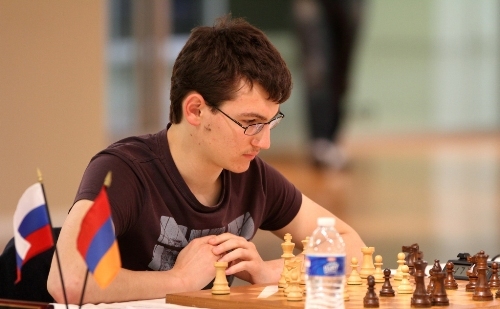 The tournament was won clear 1st by IM Roman Yankovsky with a score of 7.5-1.5. This was the second tournament that IM Roman Yankovsky played with his IM title official – the first being the last Metropolitan Invitational where he scored 7.5-1.5 as well. No norms were achieved. NM Yian Liou came closest by maintaining IM norm chances going into the last day before being defeated by FM Mark Duckworth. The tournament was sponsored by California Market Center, Fashion Business, Inc, Chess.com, MonRoi, LawyerFy, the Law Offices of Steinfl & Bruno, and Betty Bottom Showroom.